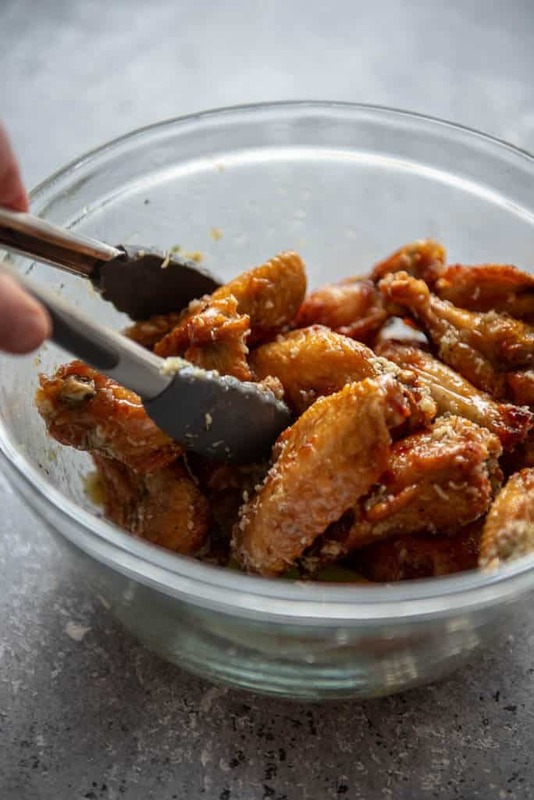 For the easiest and best game day snack use your air fryer to make these simple wings! 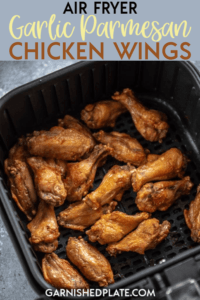 Air Fryer Garlic Parmesan Chicken Wings and quick and delicious and perfect for parties or even dinner! 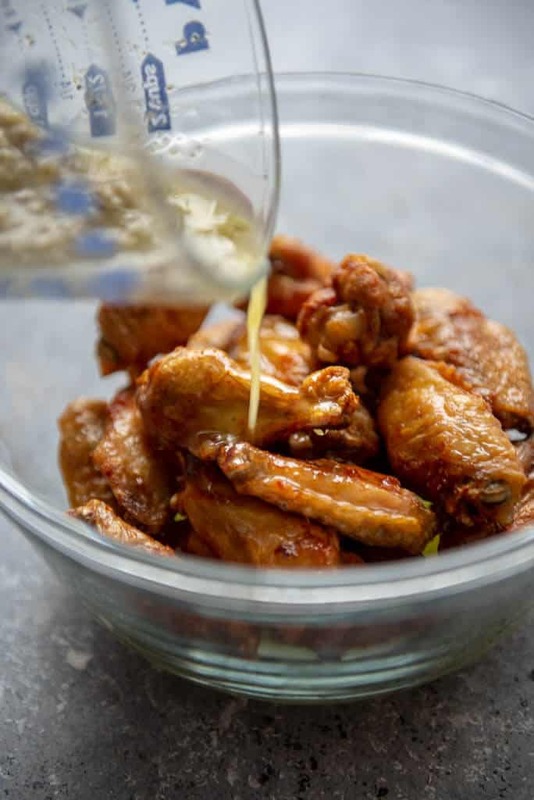 Who doesn’t love delicious crispy wings, especially when parked in front of the tv cheering on your favorite team?! But there’s no need to drag out quarts of oil or worry about splashing yourself with grease. 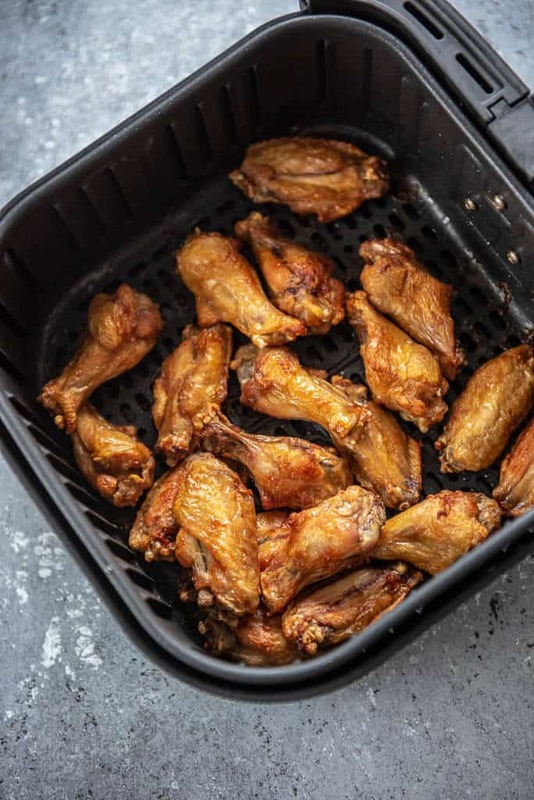 Instead you can use your air fryer to make oil free chicken wings with a delicious parmesan garlic sauce. Who wouldn’t win with these on the menu?! 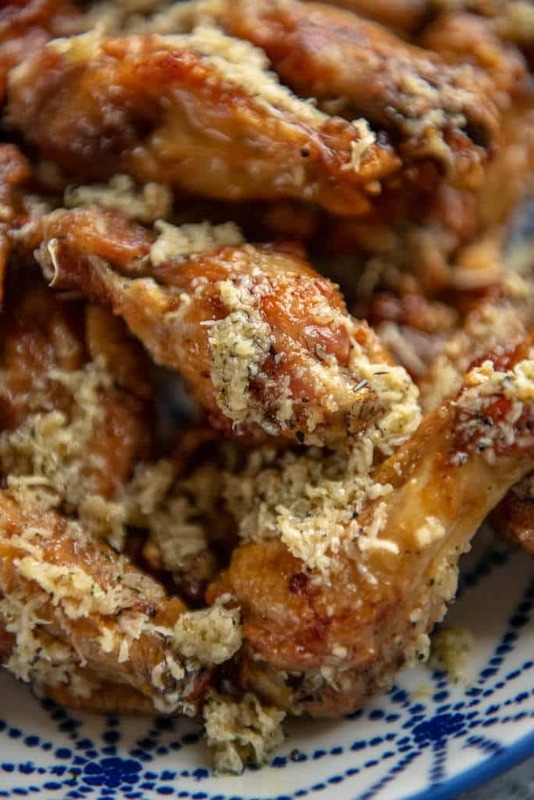 Air Fryer Garlic Parmesan Chicken Wings should be on your menu for this weekend. 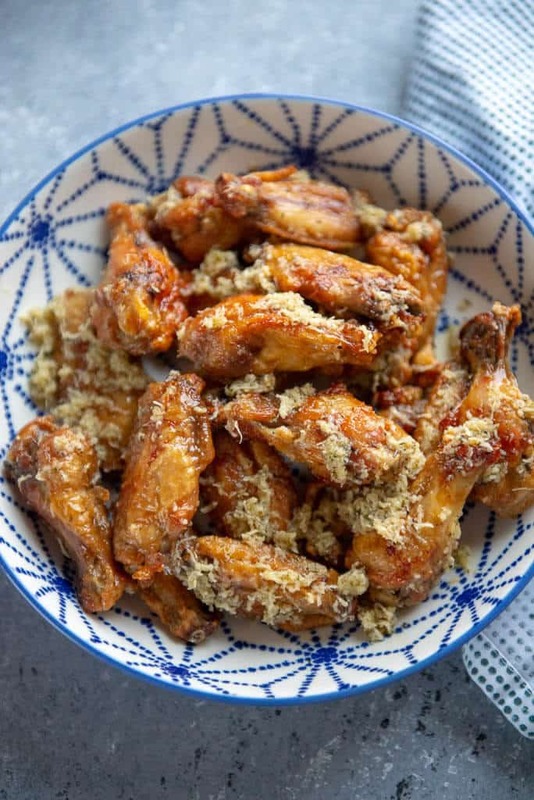 How do you air fry chicken wings? It really couldn’t be easier. Just buy chicken wings that are already prepared by being trimmed and having the tips removed. These are often on sale and come in large packs, so it’s a cost effective way to impress a crowd. 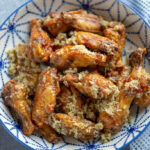 The wings can go directly in the slow cooker and don’t need any added oils. The sauce will be added later, so there’s really zero prep work involved. 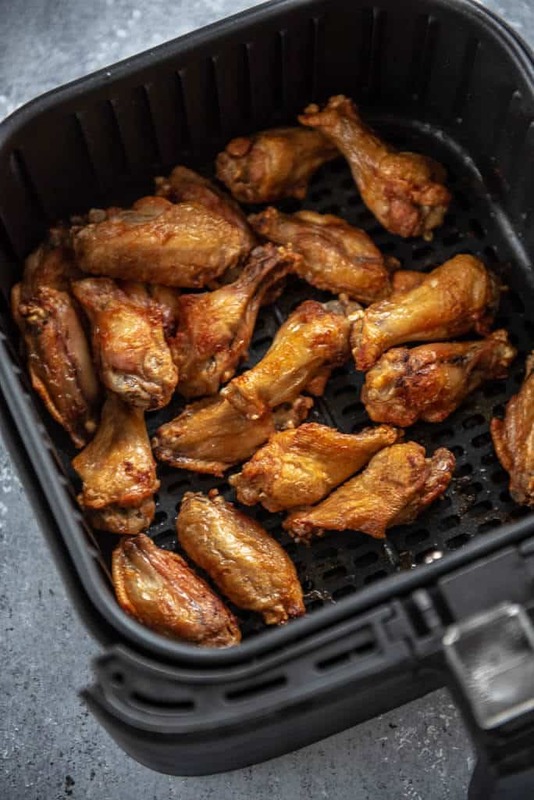 Need an air fryer? This is the one I used for this recipe! 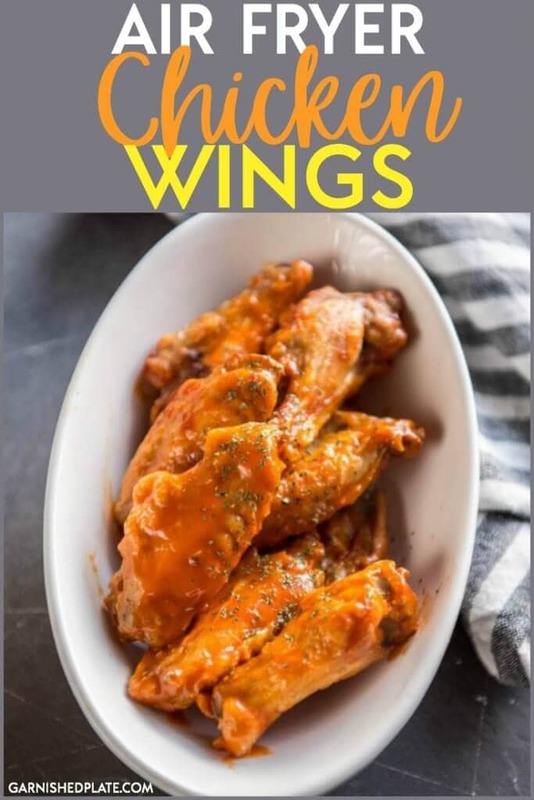 And for more traditional buffalo style chicken wings… grab my easy air fryer chicken wings recipe!